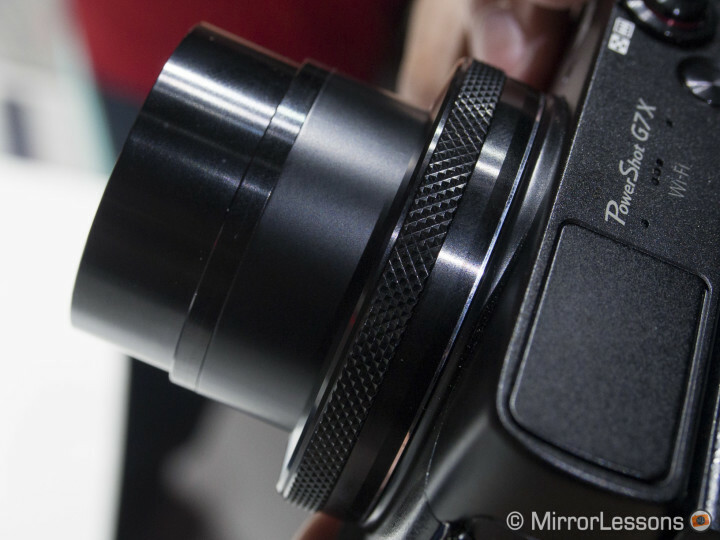 For over two years, Sony has managed to monopolise the high-end point-and-shoot market with its RX100 series. 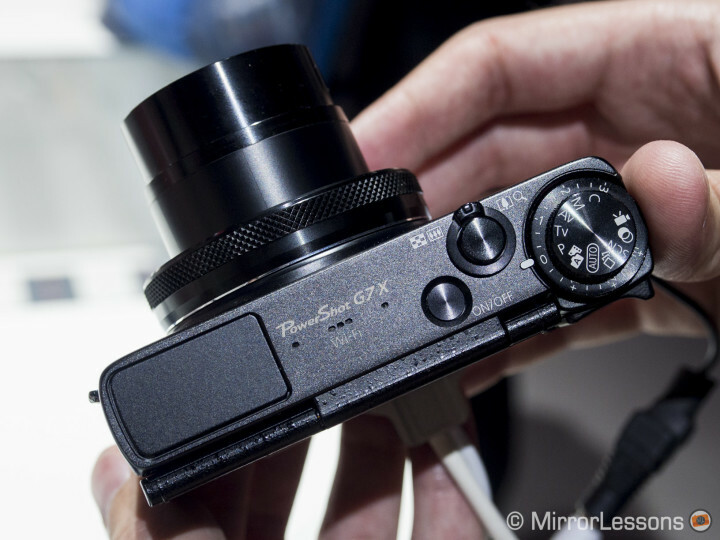 The original RX100 made its debut in June 2012, whereas the third generation came out only a few months ago. 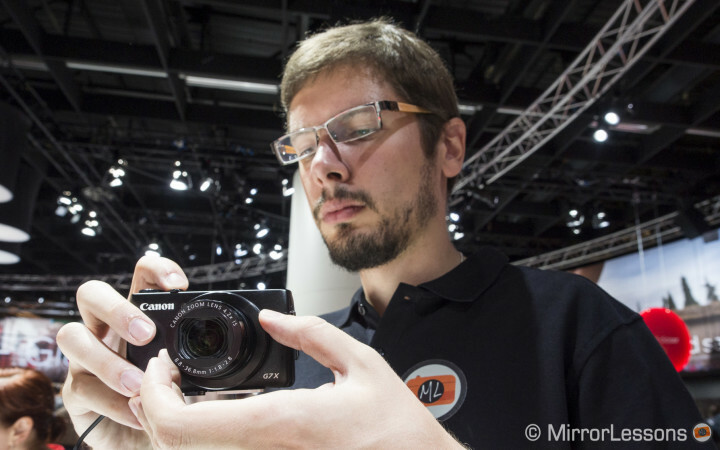 It was the world’s first truly pocketable high-end camera which, with the help of its 20MP 1-inch sensor, became a very appealing second “carry-around” body for professionals and advanced shooters, and had remained unrivalled up until this year’s Photokina, when the brand new Canon PowerShot G7X came onto the scene. 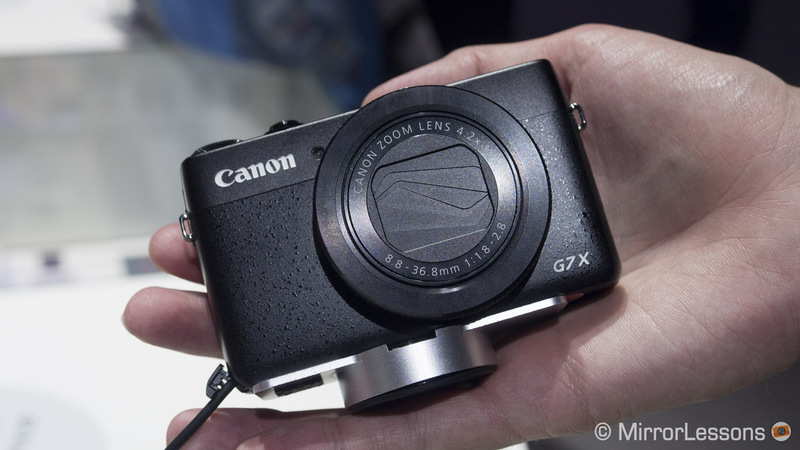 The PowerShot G7X (not to be confused with Panasonic’s GX7) is the first Canon to feature a 1-inch sensor. It is the same sensor found on the RX100 III but the processing engine is different, with the G7x sporting a Digic 6 Image Processor. 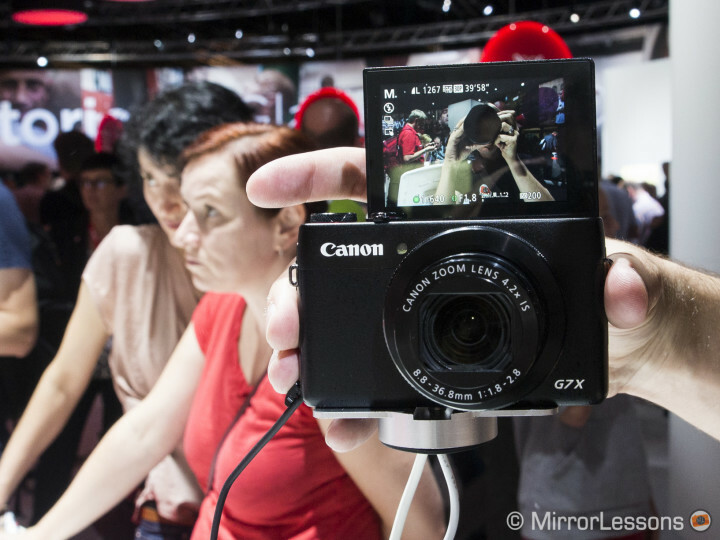 Similarly, the body is also compact to the extent of being pocketable–in fact, the two cameras are about the same size, though the G7X is slightly heavier. Overall, the construction is very solid, from the body itself to the hinges on the tilting screen and flash. Where it differs from its competitor, however, is in terms of the zoom. Amazingly, Canon has managed to give the G7X a 24-100mm focal range (an optical zoom range of 4.2X) with an f/1.8-2.8 aperture. This means that it covers a longer focal range than the Sony RX100 MkIII while maintaining the brightness of a large aperture zoom. This is an aspect that professionals will certainly find interesting if they choose to get creative with their casual shooting. Check out the bright zoom on this camera! 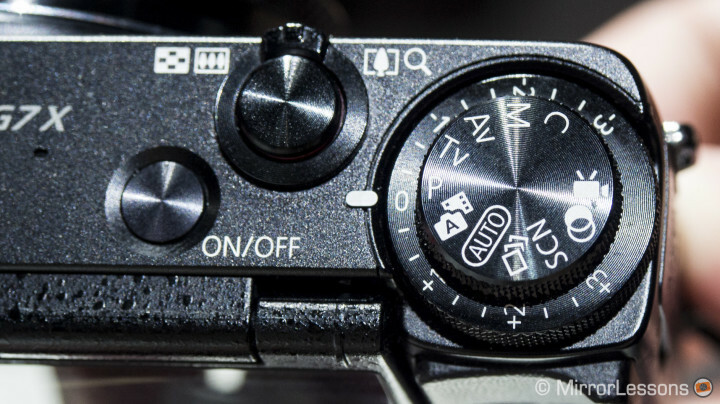 The G7X has also been endowed with a number of external controls such as a useful exposure compensation dial wrapped around the mode dial and a control ring around the lens to adjust settings. These two additions are just further proof that Canon is targeting a professional, or at least an experienced audience with this camera, and not the traditional point-and-shoot crowd. The control ring is made of plastic and doesn’t feel as smooth as it should but it might just be a question of getting used to it. Not to be left behind in the land of luddites, the G7X also includes Wifi/NFC and, as mentioned above, a tilting touch screen that flips up by 180 degrees, making it another great example of a “selfie” camera if that is your kind of thing. 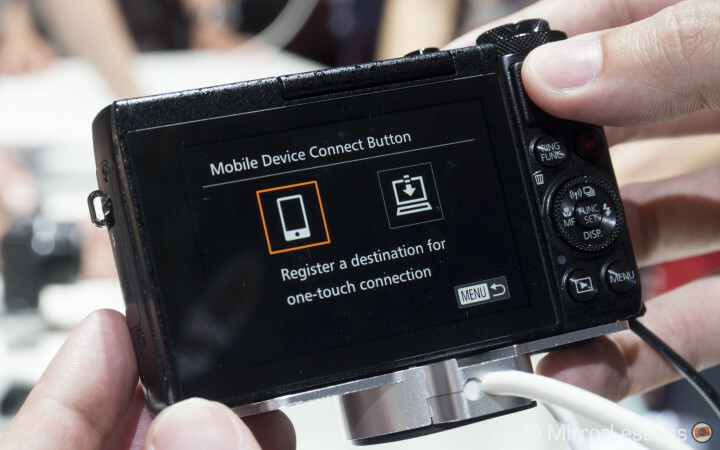 I’m very glad they went for the touchscreen option as I find it extremely useful on cameras like the Olympus OM-D E-M10 and Lumix GX7. 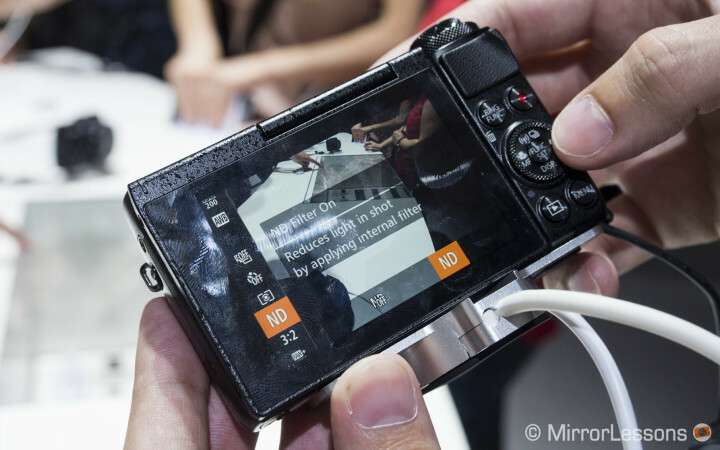 It may also be a determining factor when users are faced with deciding between the G7X and RX100 series, as none of the three RX100 models feature touch sensitivity. You can perform different tasks with the touchscreen including the selection of AF points and taking a shot. 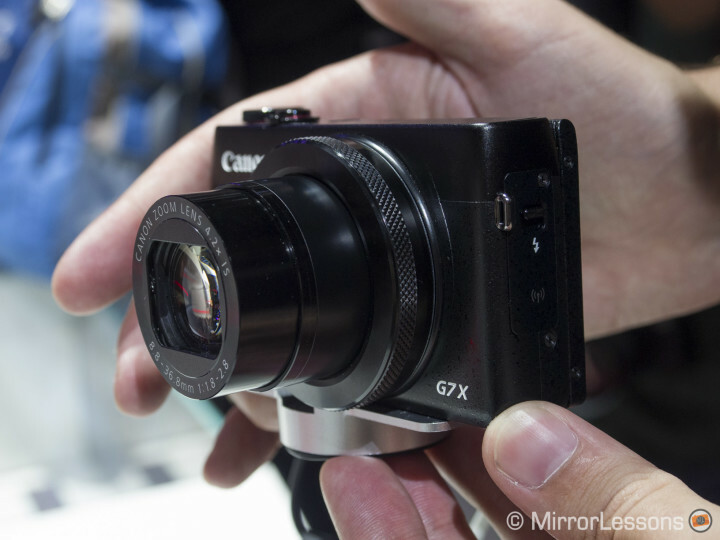 As with many other compacts, the G7X has a maximum ISO of 12800 (min. is 125) and a pop-up flash. It can shoot 1080p video up to 60fps, and comes with a useful built-in ND filter which helps to reduce the amount of light passing through the lens and hitting the sensor in bright conditions, given that its maximum shutter speed is only 1/2000 of a second. The ND filter is another great feature that the first two RX100 cameras lack (but the mark III has it). Another positive aspect is the very fast autofocus. It worked very effectively during our brief test at the Canon booth. The camera features 31 AF points and has a continuous shooting capability of up to 6.5 fps. The G7X also has an intelligent IS stabilisation and more curiously, a Star Mode similar to the Live Composite mode found on OM-D cameras but with some extra features. You can capture Star Trails but also Star Time-Lapse Movies and Star Nightscapes. There is also a Star Portrait mode where the camera takes two consecutive shots of the subject, and a third one of the night sky. It then merges them into a single image. The modes are available with auto or manual controls. While all these modes need proper testing to understand their potential, it certainly shows that a) Canon has put a lot of effort into this little camera and b) it is quietly observing the competition on the CSC market. I personally think that Sony has a formidable rival on its hands in the PowerShot G7X. Certainly the RX100 MkIII has the advantage of a built-in viewfinder but the G7X has other interesting features such as a built-in ND filter, a star trail mode and a longer zoom with the same fast apertures. Indeed, this could only be a precursor of great things to come from Canon. Let’s face it–the company has the money and technology to take on any of the premium compacts and CSCs on the market today, so the question isn’t so much if but when it will begin to bring out the big guns. For now, I get the impression that the company is quite happy to sit back, observe the flow of the market, and test the waters every now and then with innovative gems like the camera mentioned here.